…but it does. And there are 10 of them. New design from Susan. Absolutely love this dress. And my machine is giving me fits. 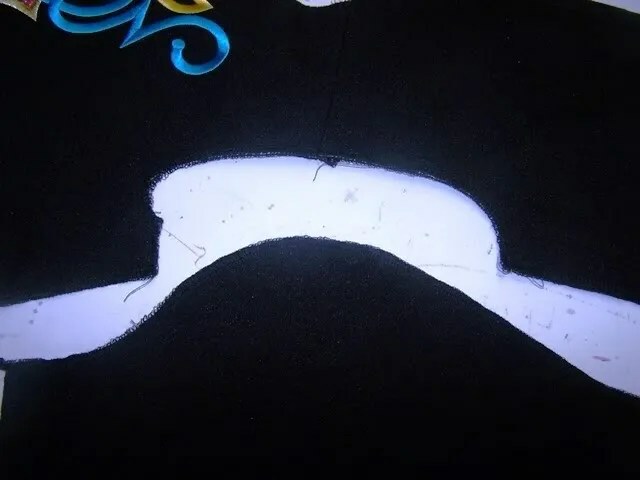 I keep breaking needles on the sequins (they are covered with solvy in the pic), and today I bent another and cannot get the needle out. My arthritis lately has kept me from getting the screw tight enough on the needle so I used a tool to tighten it the last time. Must have stripped something…so off to the Old Sewing Machine Guy (OSMG) tomorrow…he will quietly yell at me (his brief little under-the-brow glare literally does me in! ), and this time I bet he has to keep it. Something tells me I screwed up. Damn. Oh…and yeah…there was a point to this post…I hate setting sleeves. So much so that I have devised a way to make them easier for myself. There was a discussion on Celtic Flame about setting sleeves the other day…folks talked about sewing one long seam from waist to wrist. Have to say that I do not like that as it does restrict movement. There were ideas about clipping, etc. Still do not feel that is the best way. 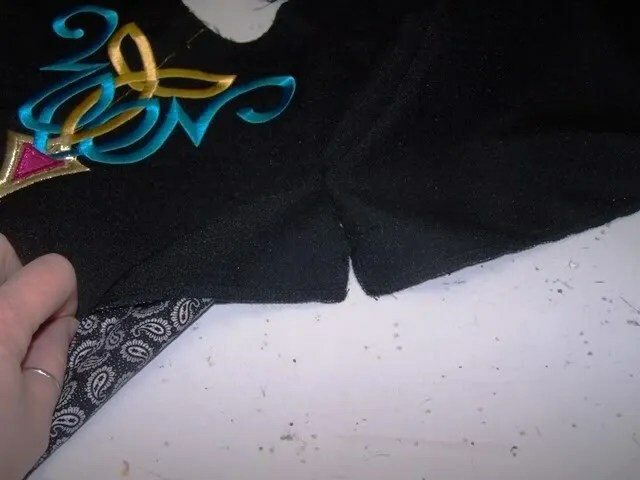 The best way is to set the sleeve in when both the bodice side and long sleeve seams are already sewn…but I hate dealing with the littleittybitty sleeves that I seem to have so many of… so here is what I do. 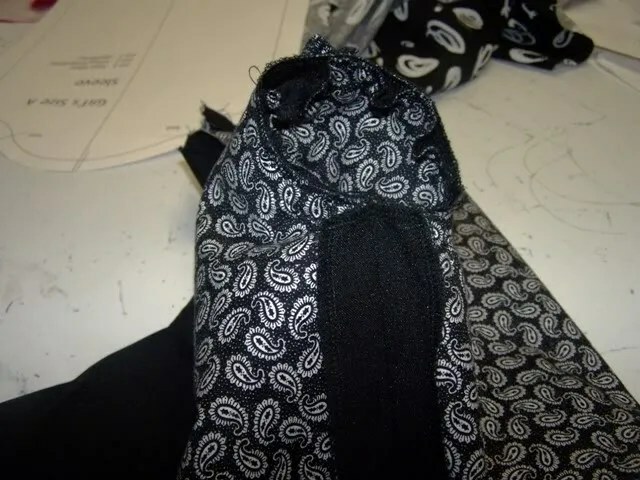 Here is a sleeve on a Dudney dress ready to be set. 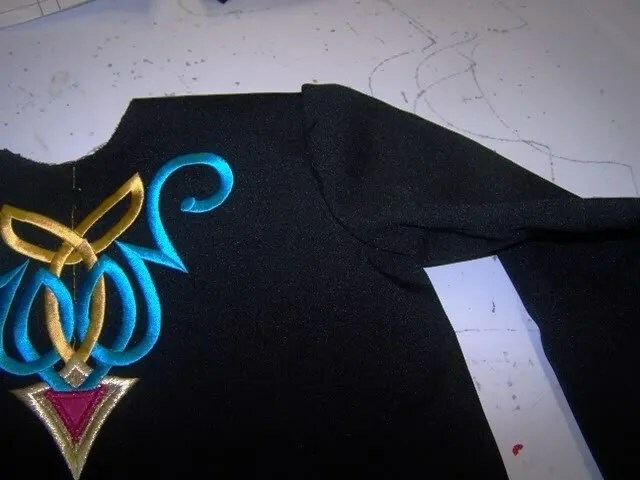 Notice that the bodice side seam and the long sleeve seam have not been sewn yet. All is still flat. Here is one open edge. 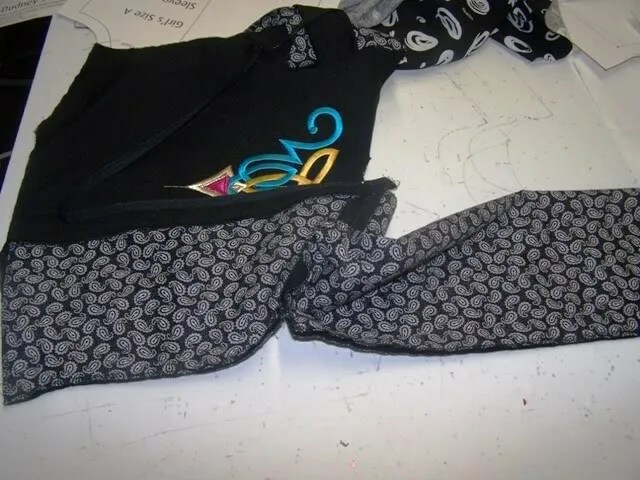 Another view of the underarm edge that is not sewn. 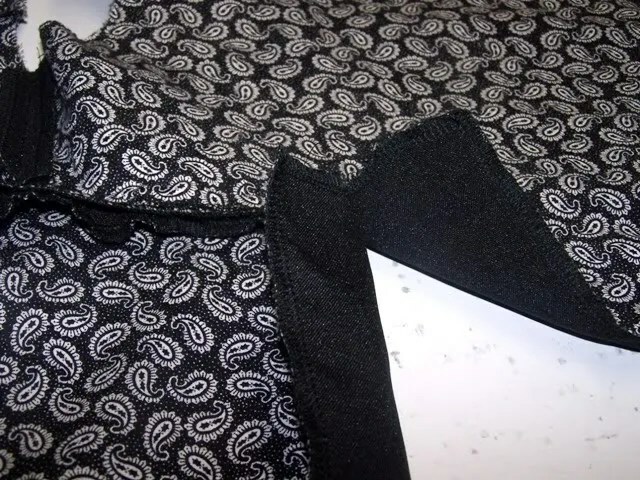 Now I sew the bodice side seam and the long sleeve seam. 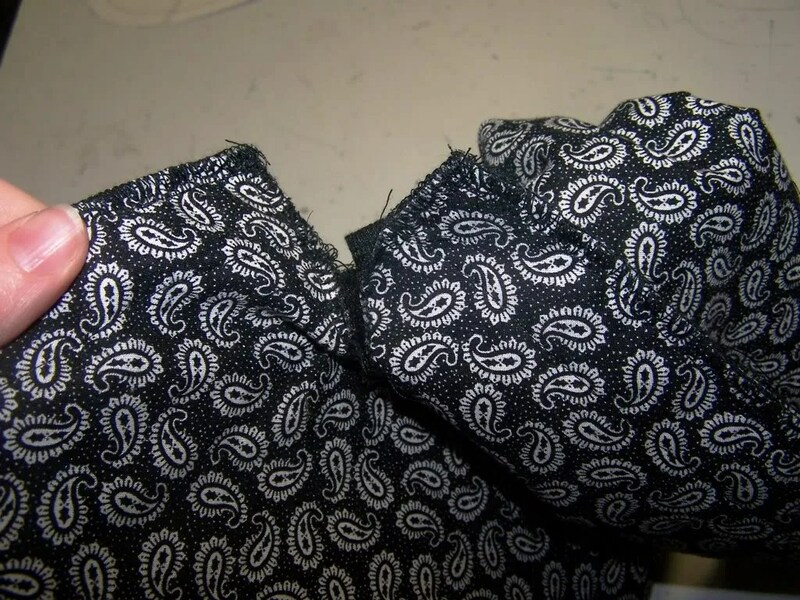 Because the sleeve cap seam was not totally closed, once the long sleeves are sewn, there is a gap under the arm. I press the long bodice and sleeve seams open. Another view of the underarm gap after the long seams were pressed open. Now I pull the sleeve right side out as it would have been if I had pinned the sleeve into the armscye the traditional way. …sew it closed and I am done!!! No wrestling with a curved sleeve seam! Perfectly clear!! I knew htere had to be a way to do it..thanks so much. I have never seen so many frigging pins in my life. Those sleeves don’t even have and ease in them and you’re using 500 pins! 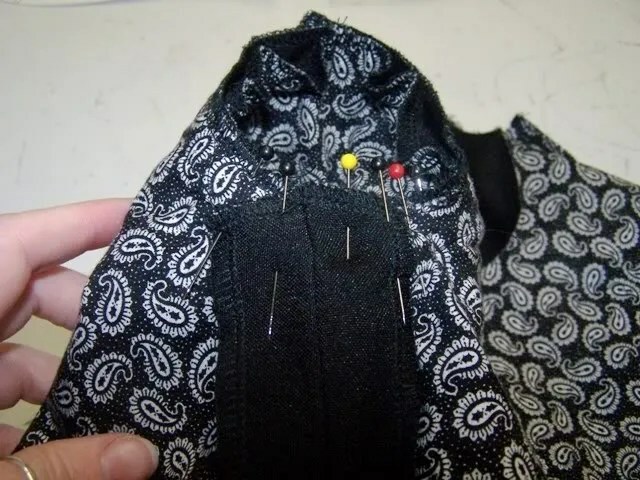 I pin the notches and the shoulder seam. THREE PINS. Put the sleeve side down. 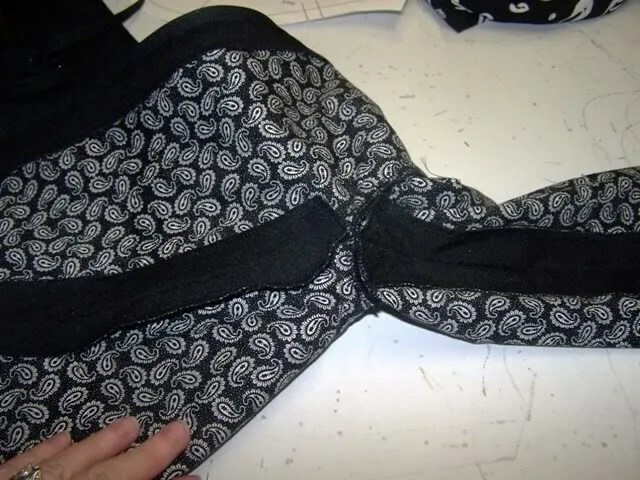 Put you hand under the bodice on top of the sleeve cap with your fingers spread. Sort of pull the sleeve seam even with the bodice seam as you move your fingers together. That just gentles things in. Good Lord, you are the Queen of pins. I call myself “THE Master of Pins”, thank you very much!!! As a reformed pinner, I know there is help for you. All you need to do is take the first step. Walk away from that pin cushion, now. You won’t be sorry. Susan needs to get someone to take pictures of her sliding her hand under the sleeve cap and spreading her fingers….I’m not getting it. But then, I’m a pinner myself. 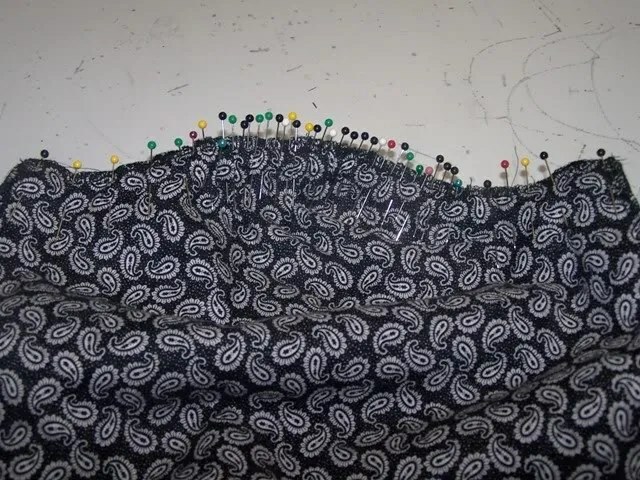 Do you always serge your lining to the main fabric before construction? Seems much easier than making a dress inside the dress, but is this standard? I confess I’ve not looked inside many ID dresses. thanks for the sleeve advice – it looks like my daughter won’t be naked next weekend after all!